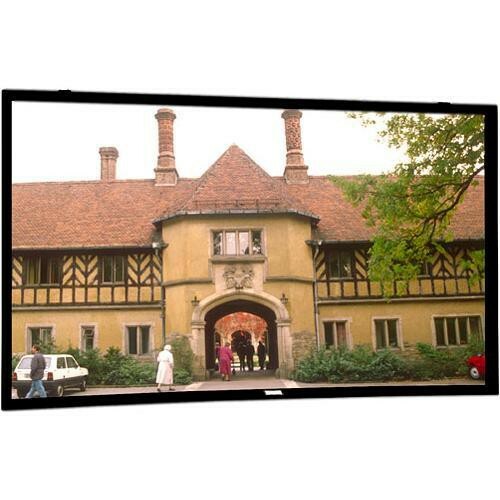 The Dalite Cinema Contour 78 x139" Fixed Frame Front or Rear Projection Screen is another choice from Dalite when you need a simple but reliable and durable fixed frame screen and do not need or want a motorized setup. The Cinema Contour features a flat surface - perfect for today's video projections. Available in sizes from 60 to 240", this screen has a 45° angle cut frame for a sleek, modern appearance. Box Dimensions (LxWxH) 153.0 x 9.0 x 8.0"
Does 3D Virtual Grey mean it is best suited for 3D projection? That is correct. 3D Virtual Grey screens are designed specifically for passive 3D front projection systems.